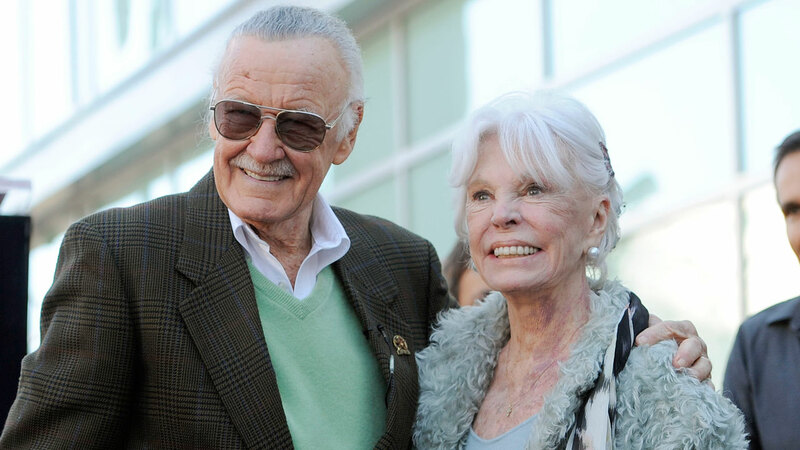 LOS ANGELES -- The wife of Marvel Comics legend Stan Lee died Thursday at age 93. Lee and his family released a statement saying Joan Lee died peacefully Thursday morning. The couple had been married 69 years. Lee's longtime publicist Dawn Miller confirmed the statement's authenticity when contacted by The Associated Press. No additional details were provided, and the statement requested privacy. Stan Lee co-created numerous Marvel Comics superheroes including Spider-Man, the Fantastic Four and the X-Men. The Hollywood Reporter, which first reported Joan Lee's death, recounted the couple's first meeting in a story last year. It said Lee met his future wife while trying to meet another woman for a date in New York. The couple was married in December 1947 and had two daughters, one of whom died days after being born. The 94-year-old Lee has credited his wife with supporting him early in his career, when he was trying to create superheroes that he and others could care about.